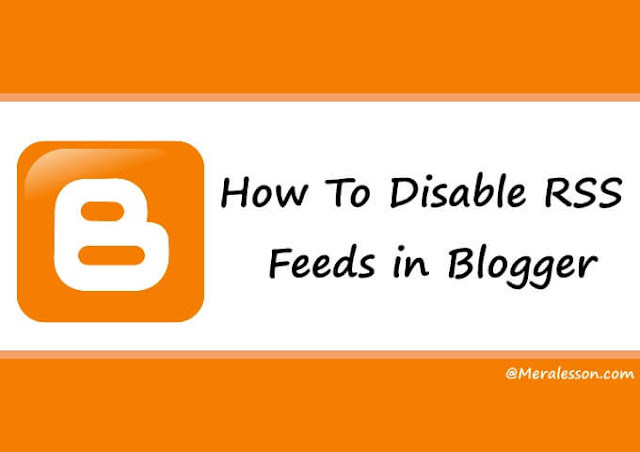 If you wanted to disable of remove RSS feeds from your BlogSpot blogs, then you are reading the right article. in the previous WordPress tutorial we have shown you how you can disable RSS feeds in your WordPrsss and in this blogger beginner tutorial you will learn how you can disable RSS feed in your BlogSpot blogger blog. RSS very popular format to deliver your content to your RSS subscribers and you may see RSS feed on popular sites. However, some of the blogger wants to remove or disable the RSS feed so in tutorial they'll learn how to do that. Like as I said in the previous RSS tutorials, RSS (Rich Site Summary) is a technology which allows you to prove your articles, other content to your RSS readers. So they can read your content and if you want them to visit your site to read the full article then you need to short your RSS feed read how to short RSS feed in Blogger. To disable the blogspot RSS Feeds the first thing that you need to do is login to your Blogger account and go to your settings tab and click on others tab. And scroll down to the site feed section and you will see the four options there, click on the Dropdown option list next to Allow Blog Feed text, click on that and select none from that option and save your settings from the right top. On the next page you can rename your category, Just simply add your category name that you want to change and also add a slug for youOnce you are done, then you able to see 404 error in your RSS feeds instead of feeds that's means you have successfully disabled your RSS feeds. That's it, So this you can disable the RSS feed in blogSpot blogs and we hope this tutorial may help you to disable your RSS if you like this article and wants more from us then like and follow us on Twitter, Facebook to get latest updates from us.